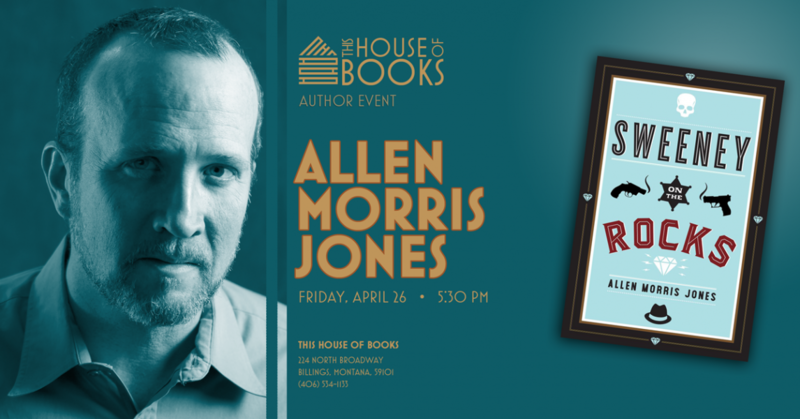 Come to This House of Books at 5:30 on Friday, April 26 to meet Montana author and member-owner Allen Morris Jones. Teens from across the state have contributed to an anthology of poems, speaking from their hearts and their perspectives. 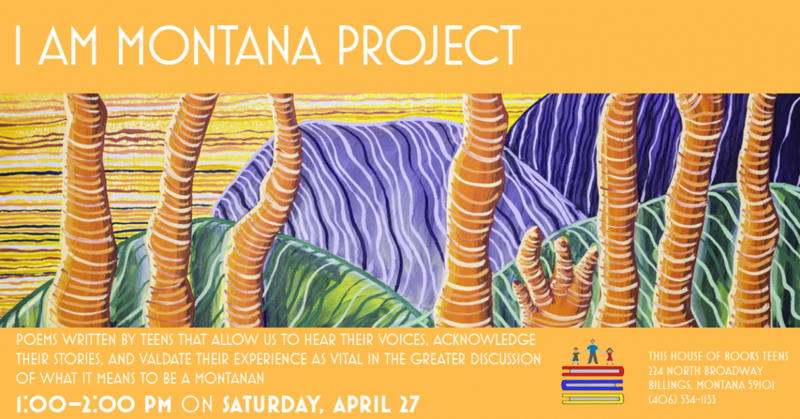 Join us on Saturday afternoon, April 27, starting at 1 o'clock to hear some of what they've written. 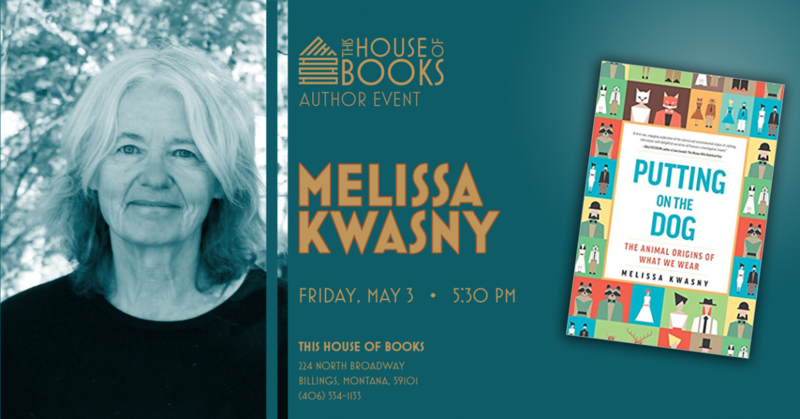 Melissa Kwasny will present her book with a reading and discussion followed by a signing of her book, Putting on the Dog, on Friday, May 3, 2019, starting at 5:30 pm. 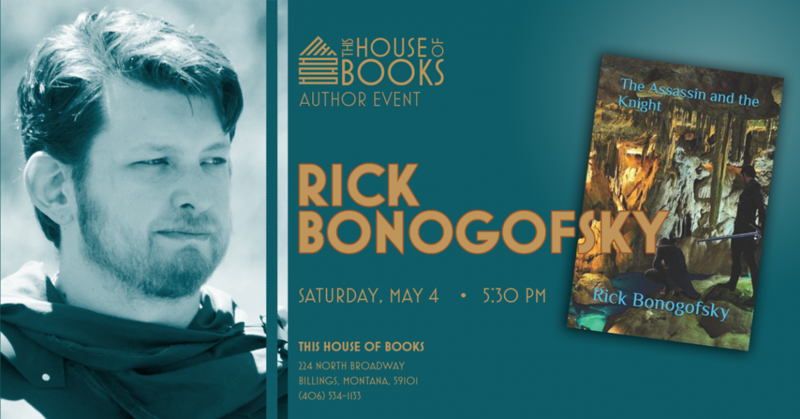 On Star Wars day, May the 4th (be with you), we welcome author and member-owner Rick Bonogofsky for a presentation of his newest novel from 5:30 to 7:00 pm. 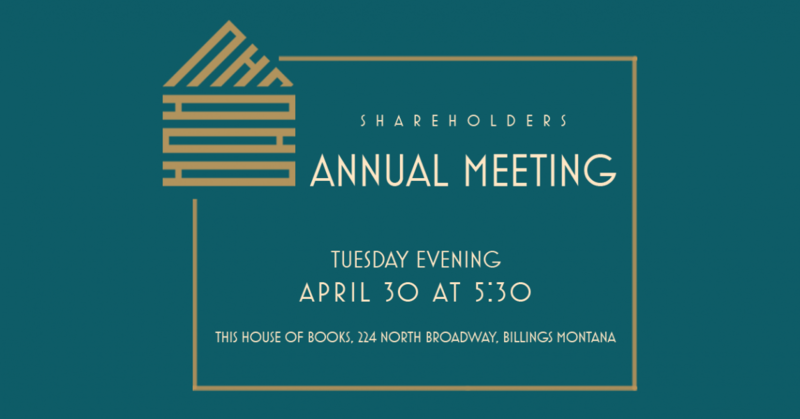 We're happy to announce Billings Bookstore Cooperative's fourth general meeting will take place on Tuesday, April 30, at 5:30 pm at the bookstore.